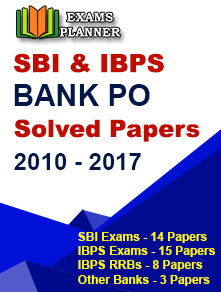 The Institute of Banking Personnel Selection (IBPS) has released the admit card for IBPS Clerk Preliminary examination 2018 on the official website – www.ibps.in on 26th November. Candidates who have applied for the examination can download the admit cards using their log-in id and password. The IBPS Clerk Preliminary Examination 2018 will be conducted on 8th, 9th, 15th, and 16th December 2018. 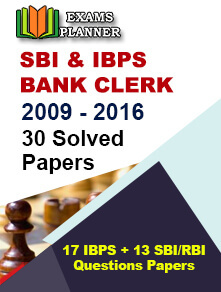 Go to the official IBPS website – www.ibps.in. Click on ‘Click here to Download Online Preliminary Exam Call Letter for CRP Clerks-VIII’ link running on the home-page. Click on the admit cards/hall tickets link to reach the candidate log-in page. Your admit card/hall ticket will appear on the screen. The last date to download the admit cards is 15th December 2018. Candidates are advised to download their admit cards well-before the exam. Don’t forget to carry the admit card/hall ticket to the examination hall. Keep the admit card/hall ticket/call letter safe till the recruitment process gets over. Sectional time has been allotted in the exam and candidates cannot move to another section before the time completes. All sections except the English Language will be in both Hindi and English languages. Those who qualify the Preliminary phase will be called for the Main phase examination. Check out the Main exam pattern. The final result of the IBPS Clerk Preliminary examination 2018 will be released after the Main phase examination result. The final result is prepared only on the basis of marks secured in the Main exam.